Thank you for visiting the Bouncing Back blog. The art you see on these pages is career #2 for me. I was once a literary agent, working in New York, to promote authors and sell their rights world wide. That first career was fun, interesting and stressful. I loved it but I'm not sorry to be an artist and bringing beautiful things to my friends, family, and to you. 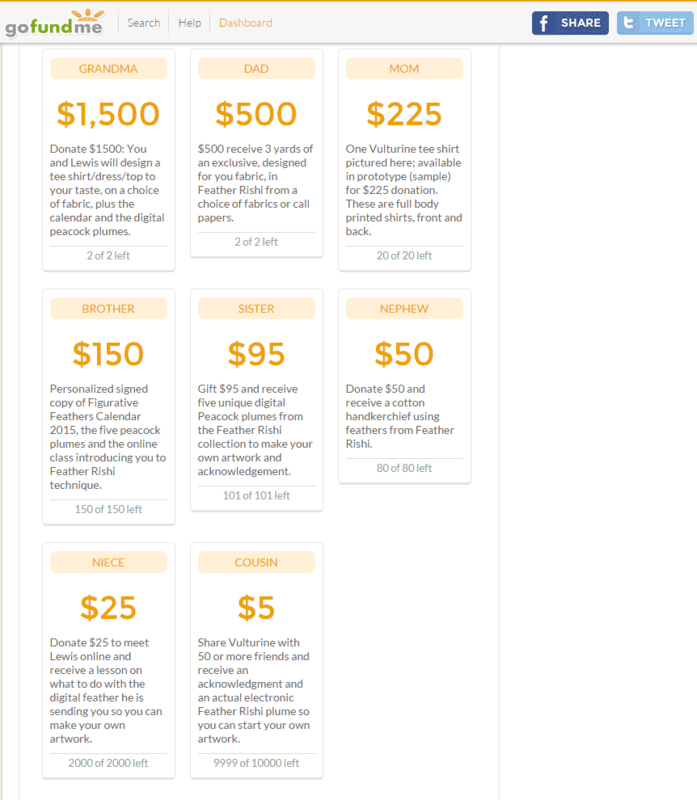 The tee shirt above is a premium you may choose for a $225 contribution to the cause. What is that cause? Preserving feathers from companion birds means that birds don't have to suffer violence to contribute feathers to fashion. 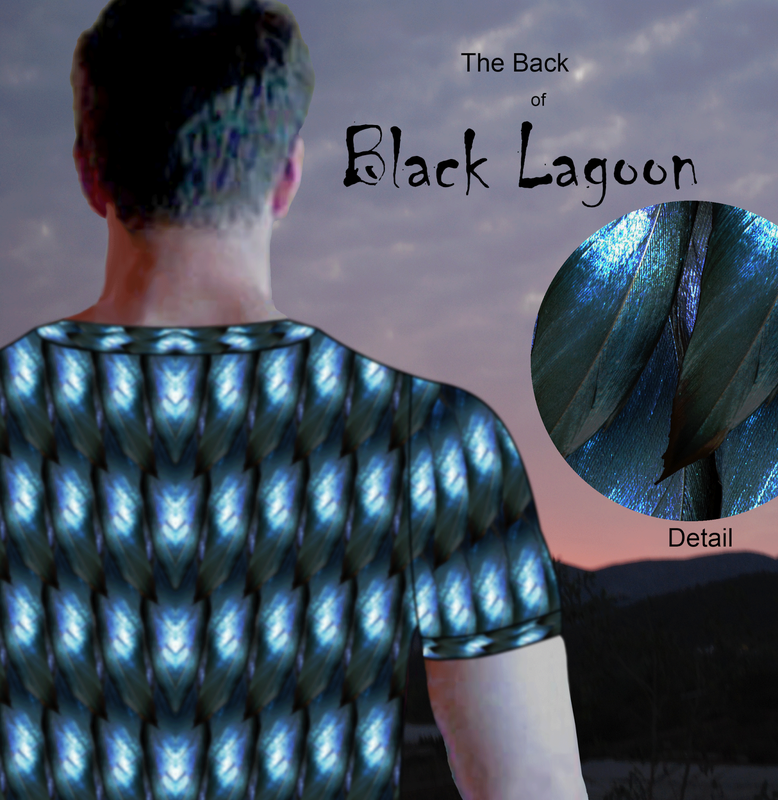 It's a new way of looking at feathers in fashion and art! I have developed a way to process with molted feathers and make them look as good as new. How good, you ask? Premium #1 for just $5.00 donation!!! That's right, just a small donation will earn you a nearly perfect peacock plume ready for your own attempt at Feather Rishi for your friends, family and perhaps one day for your own fans. I want to cover the world with beautiful feathers. Feathers on every surface is my idea of proper decor. I think feathers offer more possibilities than paint and conventional color. The only way this will work is if lots of people are making Feather Rishi, not just me. That's why for a bigger donation you will get the feather AND an introductory lesson. For $95, you get the lesson and FIVE feathers ready for art. This is a chance you won't often see. For years I've been developing scores of feathers for use in art. I've but aside only five to share with you at this time. Since many of my feather rishi artifacts are made with a single feather, this is an opportunity you can't beat. Here's the complete premium list for now, but please don't forget to see the actual mockups of the prototype Vulturine tee shirts, please visit the GoFundMe site. I invite and welcome your comments, donations and feedback. I'm pleased you're here. 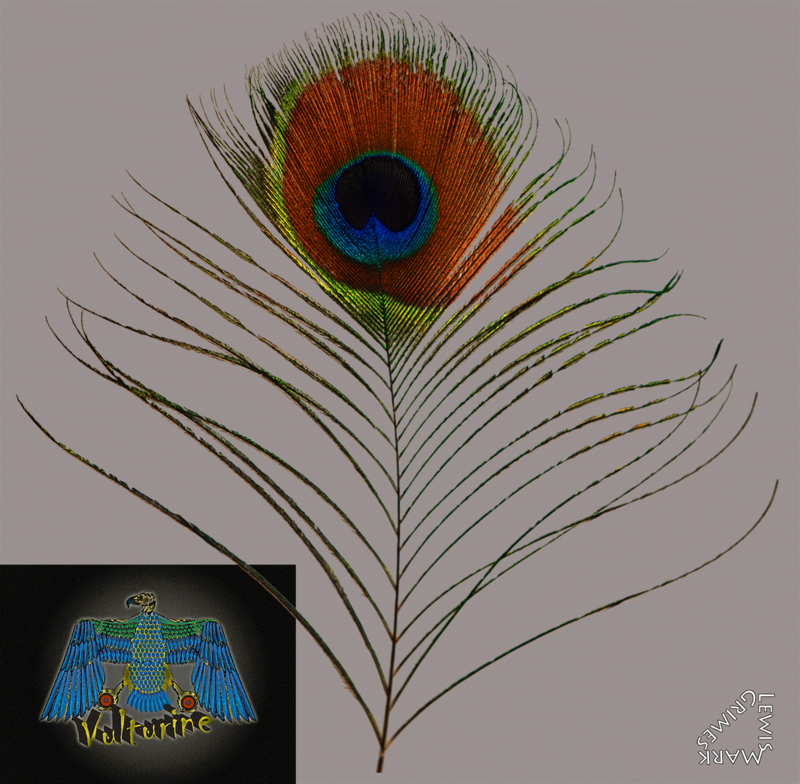 Vulturine is an apparel line that uses Feather Rishi (ree' shee) images. The feathers are always molted and freely given. I've created a new list of tee shirts for style conscious people who know how to emphasize their looks with body tees and dresses. In the days ahead please watch this blog for more news about Feather Rishi and the new fashion label I've called Vulturine. 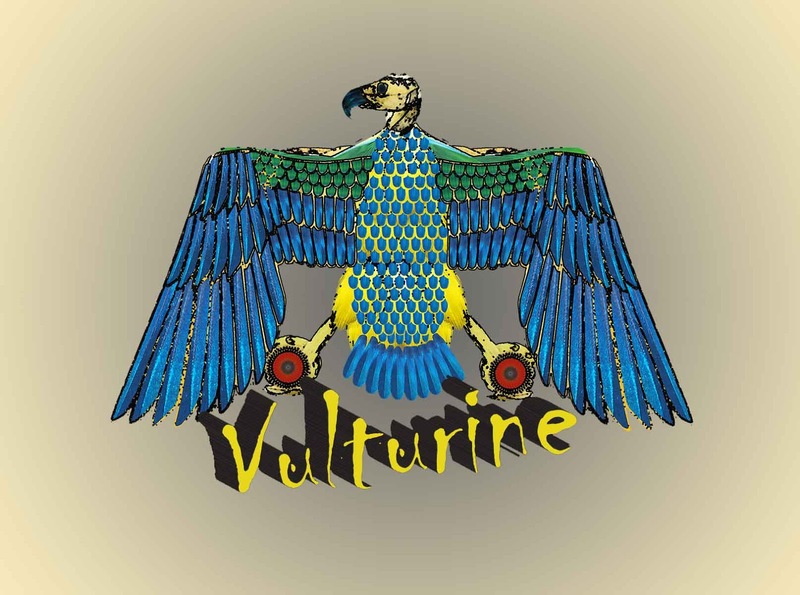 Vulturine means "of or pertaining to vultures" which I hope you will find interesting. Vultures are not for everyone, maybe Vulturine will change that..